Today I'm back with product reviews! Today I will be going through the Maybelline Fit Me dewy & smooth foundation, Fit Me concealer and the limited edition pack of LASH sensational and Hyper Sharpe wing eyeliner. Fit Me dewy & smooth foundation - I fell in love with this foundation as soon as I applied it! Its so soft to apply and blends easily! After leaving it on for a few hours it wasn't feeling heavy or cakey but it gives great coverage! I applied a heavier amount for a full coverage and its still feels light on the skin. It might be my new favourite! Fit Me concealer - A full coverage concealer great for under the eye! I purchased the "light" shade to give a brightness to under the eyes and it works perfectly! It works great with the foundation, they don't get clumped together it glides nicely over the top. Another favourite!
" OH MY GOD THIS MASCARA IS AMAZING" and thats exactly what it is! It lengthens, applies volume and separates your lashes to create an almost fake lash effect. If you don't already have this mascara you need to get into your car, drive to Kmart and go get one NOW!! Hyper Sharpe wing eyeliner - Another great product! Maybelline are on fire! I created a perfect wing first go!! That never happens, and I am not kidding. This eyeliner has a perfect thin tip to create a wing and is easy to work with. Im so happy! I find it hard to apply winged eyeliner as I have weird hooded lids that make it difficult but the thinness of the tip makes it much easier! 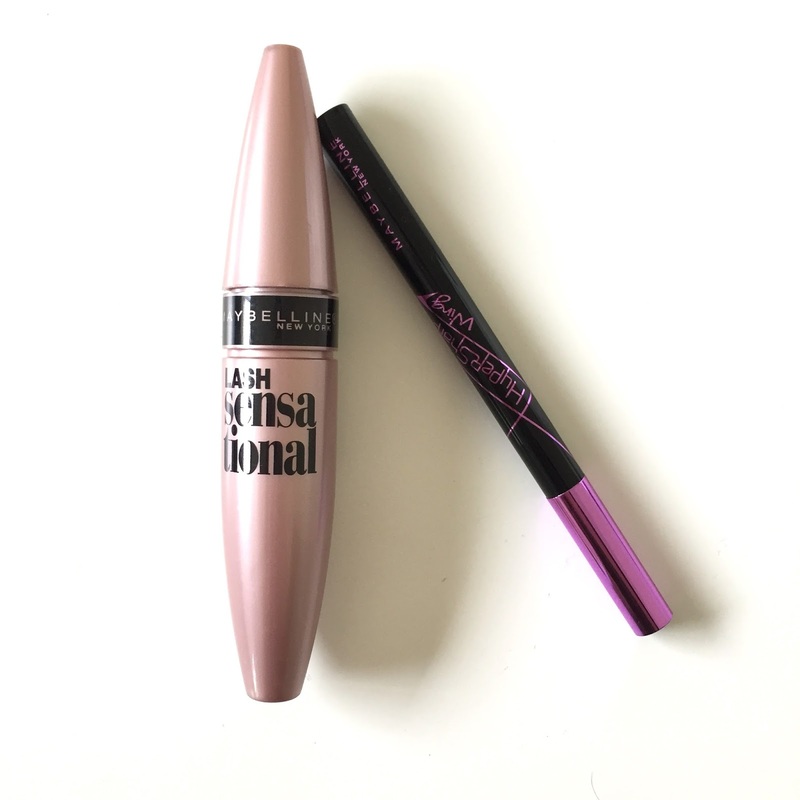 Do you have a favourite Maybelline product? Comment below! I know I went a little crazy! I am absolutely loving all of them! the mascara is like no other! DUDE SAY WHAT!? I had no idea Maybelline came out with these new products. I'm in love with dewy finish foundations at the moment, and now I'm so excited to check out that foundation! That liquid liner too! I. am. so. freaking. excited. now. btw fellow aussie blogger here too!